Pumpkins and winter squash are considered hard-shelled fruit that store relatively well. Harvested in late summer and early fall, they can last for months, providing sweet, hearty fare through the winter. Following some basic guidelines can help maximize the shelf life of your winter squash and pumpkins. Timing your harvest can make a big difference in the shelf life of the crop. Generally it’s best to harvest prior to hard frost, but it’s essential to make sure the fruit ripens adequately on the vine before picking. 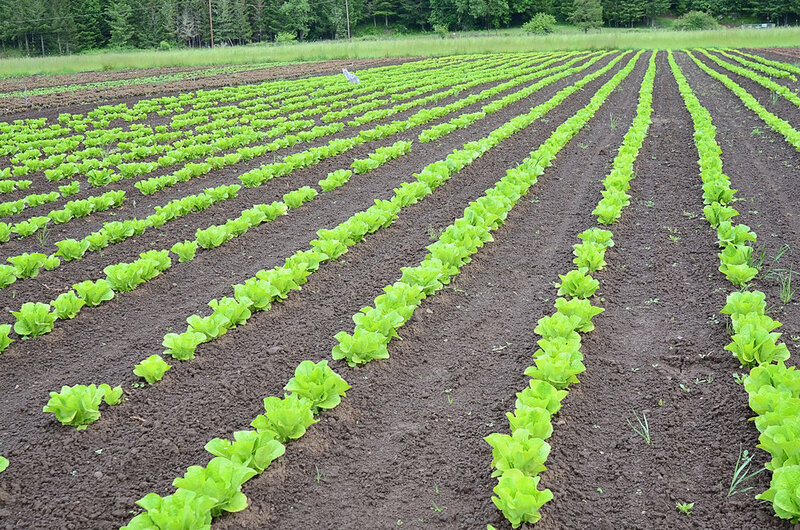 Usually a light frost or two won’t damage the crops, but if there’s threat of a hard frost before the fruit is ready to harvest, protect them with a cloche or heavy layer of floating row covers. There are several ways to tell if your fruit is ready for harvest. Since the hardness of the skin has a lot to do with the storage capacity of the fruit, the rind should be hard enough at harvest to resist the pressure of a thumbnail when pressed into it. 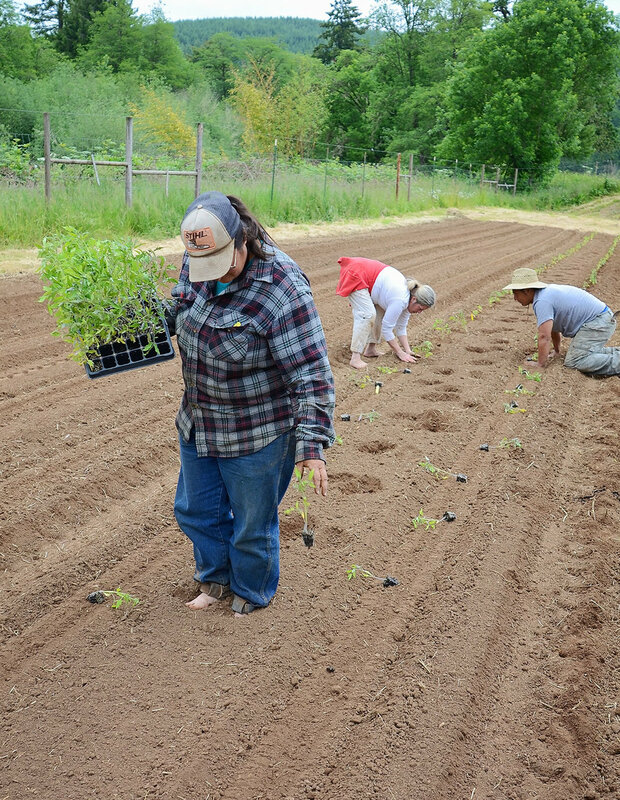 Another option for evaluating the ripeness of the fruit is to examine the ground spot. When it turns from white to cream or gold, the fruit is ready for harvest. Take a look at the stem that connects the fruit to the plant. If that stem has become very hard and dry, the fruit is probably ready to pick. Cut the fruit with 2-4 inches of stem intact. If the stem snaps off, that wound will be an opportunity microorganisms to invade and decay the fruit. A good practice with these fruits is to wash off the skin with a 10:1 water to bleach solution. 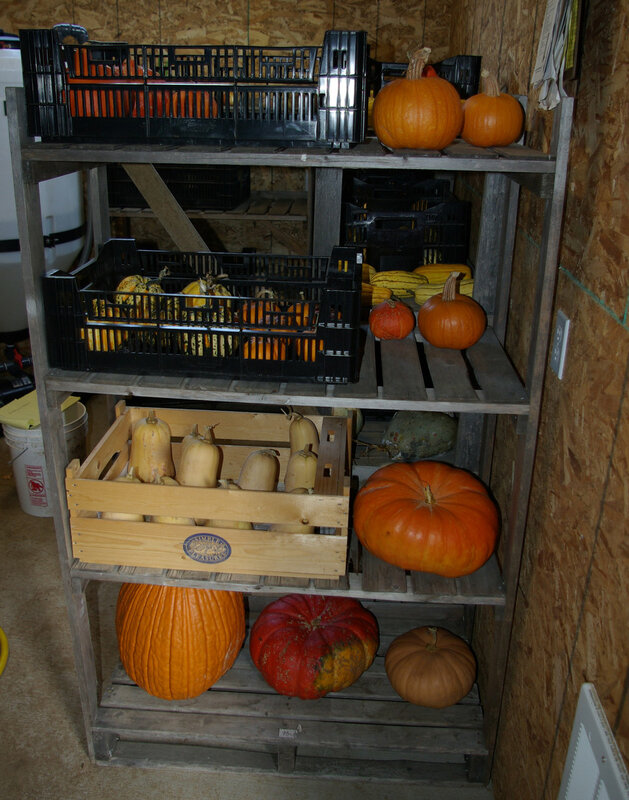 Curing the fruit is key to shelf life for many squash & pumpkins. Curing is simply allowing the harvested fruit to rest in a warm, dry area, which will allow the skin to firm up more. During the curing process excess moisture in the fruit will evaporate, and the flesh will become richer and sweeter. Here’s a quick reference for the amount of time different squash require to cure adequately. The best conditions for storing winter squash and pumpkins is in an area with good air circulation, at 50-60°F with 50-75% relative humidity. Don’t be tempted to stack the fruit, since that could restrict airflow and cause bruising. 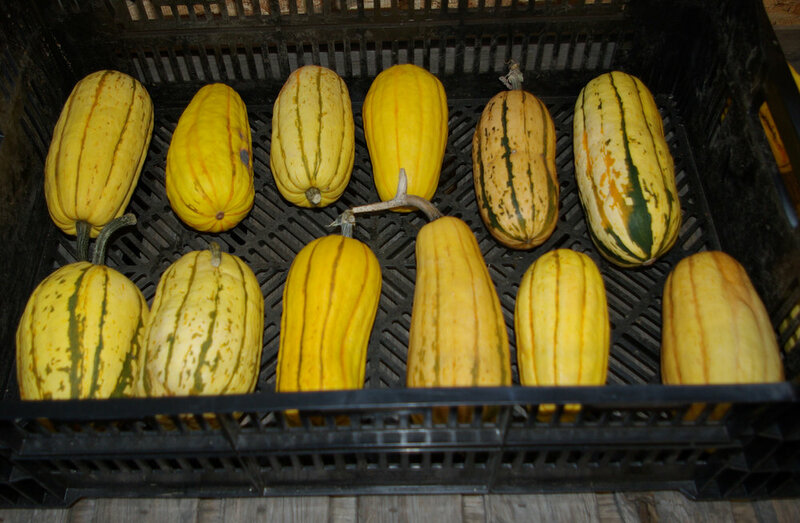 Storage times can vary depending on variety, but the following list will give you an idea of shelf life for your squash. Pumpkins: Varies greatly by variety. Thicker-skinned fruit tend to store longer.